Four months, four countries, 2199 nautical miles and 174 locks. 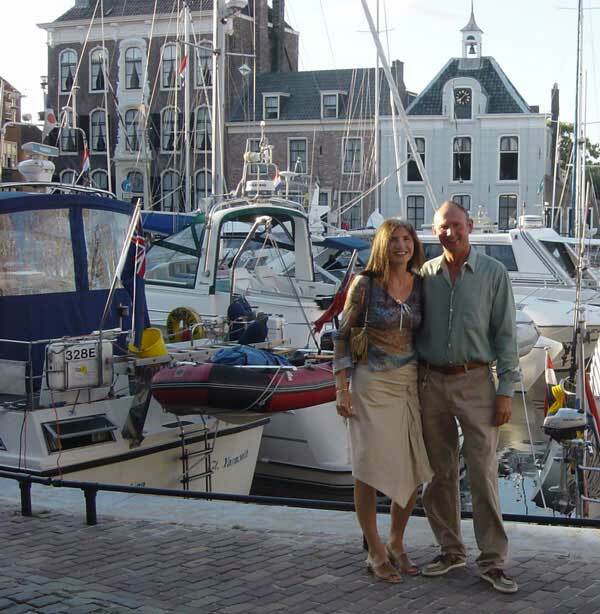 2003 will go down in history as a fantastic summer, and that was the summer we picked to take our Broom Ocean 42 Lady Martina on a grand European tour, visiting France, Belgium and the Netherlands, as well as the south and east coasts of the UK and the Channel Islands. Working "from home", the boat became our new home and we packed up laptops, satellite dish and modems in order to keep in touch with the modern world. The Ocean 42 is a heavy semi-displacement boat, but with all the kit we loaded on board it was more displacement than semi. We planned a provisional cruising schedule which would allow us to rendezvous with friends and family, as well as giving some much needed structure to an otherwise unencumbered lifestyle. We anticipated some periods of bad weather or mechanical breakdowns, scheduling regular stopping off points near ferry terminals and budget airports. In the event the weather never held us up, and the boat never broke down, so we enjoyed virtually uninterrupted cruising from mid April to near the end of August. Our route took us down the East Coast, exploring the Essex and Suffolk rivers on the way before making the first of our inland forays up the River Thames as far as Henley. With folding windscreens Lady Martina could have gone up to Osney bridge at Oxford but we opted for a more leisurely pace, taking time to stop off at some of the landmarks on route. After a week enjoying the sights and sounds of central London from the CA's friendly Limehouse basin, we set sail for the south coast to join friends and relatives in the Solent and west country. It was early June before we left the UK, bound via Cherbourg for the Channel Islands, and by this time the fine weather had set in. Nearly every day was "another sunny day in paradise" and the occasional rainy days would come as a relief. 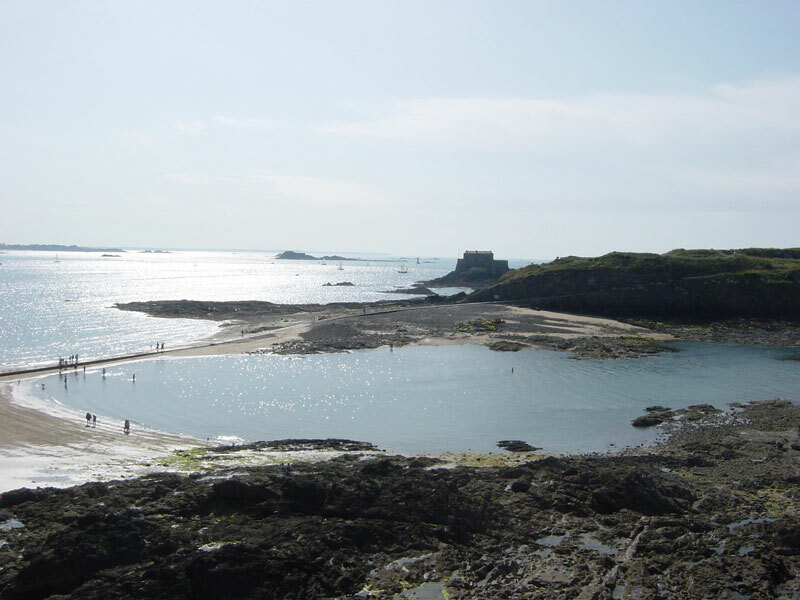 We visited many of the popular harbours on the Brittany and Normandy coasts before heading inland again at Honfleur, up the River Seine to Paris. Continential inland cruising was a new experience for us, but with many years of river work at home to fall back on, we were not put off by the many and various locks and lockkeepers which presented themselves, and eventually got accomplished at the new techniques. We had planned this section as a taster to the French waterways, with a view to a longer trip further south in future years. We were pleased at the suitability ofLady Martina for these waters, proving herself equally at home chugging economically along the coast or manouvering in and out of locks amongst the huge commercial barges. Enjoying our inland adventures and the freedom from tides, weather and passage planning, we decided to deviate from our itinerary, opting for a cross-country route towards Belgium, rather than heading back towards the coast. 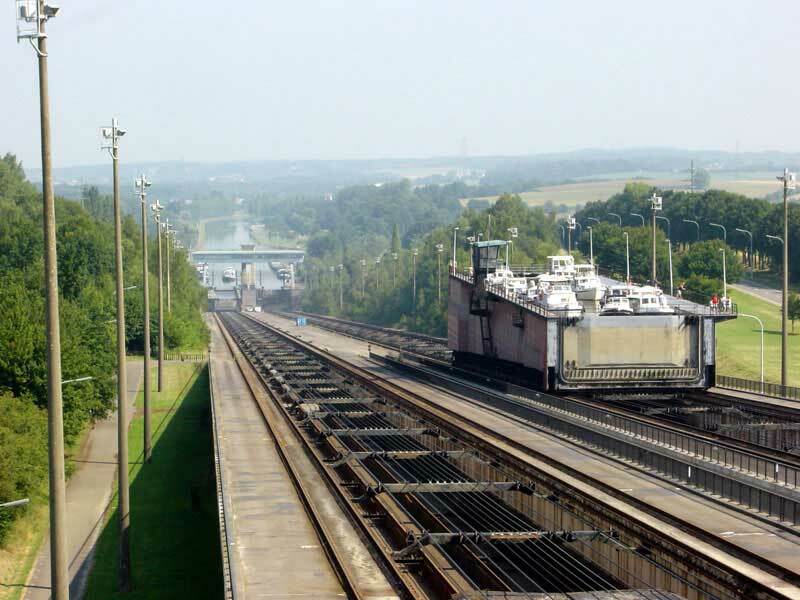 This gave us the chance to experience the Ronquieres inclined plane south of Brussels, rightly dubbed the eighth wonder of the world. We enjoyed immensely the southern, Walloon region of Belgium with its low cost of living and French-influenced culture. Crossing into the Flemish speaking region, we immediately noticed a more aggressive approach to life, with the lockkeepers demand for a €50 waterways license. But the northen cities of Belgium certainly have the lions share of history and architecture; Brugge, Gent, Antwerp and Brussels are all easily accessible and well worth a visit. Emerging on the coast at Oostende we were greeted by hoards of seagulls, heralding our return to the sea. We had planned to spend the final two weeks of the trip cruising in company with friends on Virginia Lady and their company provided a welcome diversion. After a brief exploration into the estuaries of the Zeeland region, we made the 110 mile trip directly back to Great Yarmouth, where life continued much as we had left it all those weeks before. Our log details each passage, giving cruising statistics as well as general reflections on the trip, illustrated with photos which typify the scenery. We wanted something which we could look back on to remember the summer, as well as being useful reading for others planning similar voyages. Everyone wants to know if we will go again next year. Do we want to spend the summer cruising Europe, exploring new places, meeting old and new friends, free from ties and enjoying the best of the weather?… Well, would you?